Before dismissing the idea of an RV rental Tulsa vacation, make sure you understand what it really means: no huge hotel expenses, no exhausting luggage, no tight schedules or fixed itineraries to worry about! You will be free like a bird, enjoying the comfort of “home” and even more. You can try out new recipes in your fancy RV kitchenette with your dearest friends and relatives. After such an experience, you will never again agree to return to “organized” vacations. The heart of Oklahoma is the second largest city of the state and the 47th in the United States. Southern, Midwestern and Southwestern cultural influences meet here, and you can learn more about all of them by visiting museums and cultural centers, attending art venues and festivals, and admiring monuments and artwork. This city certainly deserves a chance from anyone looking for the ideal vacation destination, especially with so many RV rentals in Tulsa, OK offers available. With its 140 plus parks, Tulsa is an oasis of fresh air and lavish landscapes. It is also like a merry-go-round of attractions, ranging from entertainment and cultural events to wonderful places you will never forget. Admiring world-class art, watching an opera or ballet show and spending a whole day with your children at the zoo – all these are great for a weekend getaway. Add Tulsa’s fine museums to that – the Philbrook, the Gilgrease or the Jewish Art Museum – and you will have a better picture of what this city has to offer. If you are interested in gardens, you should not miss the Garden Center of Tulsa, with its extensive horticultural library. Many tourists prefer to explore Bells Amusement Park or River Parks in search of adventure with its 20 miles of green oasis along the Arkansas border, lots of playgrounds, fountains, sculptures and picnic areas. All these, plus the tracks of Native American presence, will be much easier to enjoy if you rent an RV in Tulsa. If you can schedule your RV rental Tulsa trip around the events here, your fun is guaranteed. It is all a matter of doing what you like and enjoying some local delicacies at the same time. For example, the Rock’n Rib Festival is an annual meeting of the best barbecue teams from all over the country. They will surely lure you with their award-winning recipes and their crazy ways of preparing their food. The atmosphere is wonderful and your children will surely enjoy the interactive area dedicated to them, where they can try face painting, buy inflatables and play games. These are all the premises of an unforgettable day for those who decide to give RV rentals in Tulsa area a chance! The Linde Oktoberfest is one of the most popular events in Tulsa, and it has a long history there. Authentic German drinks and foods are its main attraction, but you will surely be impressed with how friendly the people here are, and staying away from the dance floor where you will be challenged to test your dancing skills to traditional German tunes will be impossible. This annual celebration is all about being happy and having fun, and everyone should attend it at least once in their lifetime. 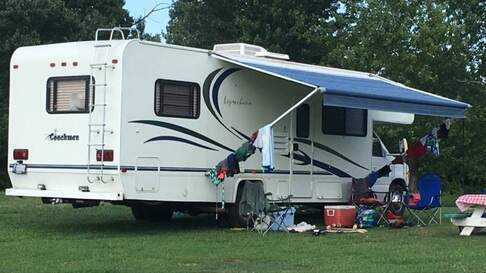 There are several campsites for RV rentals in the Tulsa area with all the amenities needed to ensure you a comfortable and safe stay, no matter if your priority is the parking place, the level of comfort or the number of activities you can enjoy. Mingo RV Park - Located at only 10 minutes east of Tulsa’s downtown, it is the best solution to be close to the city and its main attractions while still enjoying the peace and quiet of the suburbs and some delightful landscapes. The park is Good Sam certified and one of the best rated RV rental Tulsa, OK campgrounds. It has 250 spaces, out of which offer 75 full hookups. You can find amenities like cable and Wi-Fi, a playground, a game room, restrooms and laundry, horseshoes, and some valuable Good Sam discounts are also available. This is maybe the most versatile, fancy and affordable RV rental Tulsa, OK campsite. Tulsa RV Ranch – Located at 25 minutes south on US 75, it is Good Sam certified as well, and it is a perfect option for RV rental Tulsa honeymooners and families with children. The camp has 98 spaces, out of which 87 are full hookups. It offers Wi-Fi internet access, a playground, a game room, a pond, horseshoes, a recreation hall, outdoor games, planned activities, onsite cabin and cottage rentals, RV storage, a restaurant, laundry, and restrooms and much more. 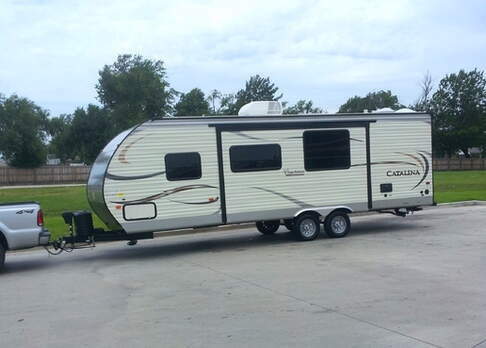 Why Choose Campanda RV Rentals? You do not depend on hotel bookings and you have complete freedom to choose the most convenient parking place for you, so as to plan the vacation of your life. We have a great choice of vehicles. You can find anything you want among the 25,000 units listed on our website, from a luxury class A motorhome to a class B or C motorhome with all the required amenities, an easy to hookup travel trailer or a convenient van. We have 816 pick-up points located in 32 countries, so it is truly easy to rent a vehicle, no matter where you live. Our well-structured website is meant to be a useful tool for you when it comes to choosing the adequate vehicle for your vacation. Our prices are affordable, and we guarantee to match any better offer you may find out there, no questions asked. Just let us know, and we will adjust our price so that you may benefit from the rental of your dreams at the lowest price on the market. You too can enjoy an unforgettable vacation in this Oklahoma paradise. Choose one of our RV rental Tulsa offers, set the details, pack your bags and get going – a world of things to do and places to visit is at your feet! Can't find what you're looking for? Check out our motorhomes in Oklahoma City.